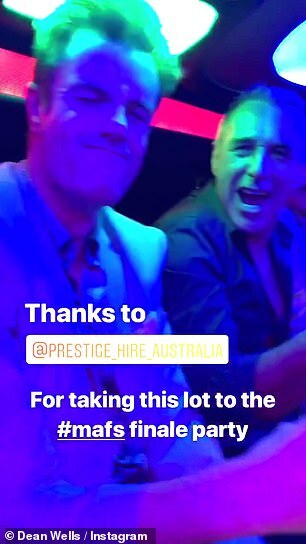 Married At First Sight’s biggest stars including Cyrell Paule, Jules Robinson and Cameron Merchant went wild at a finale screening in Sydney on Monday night. 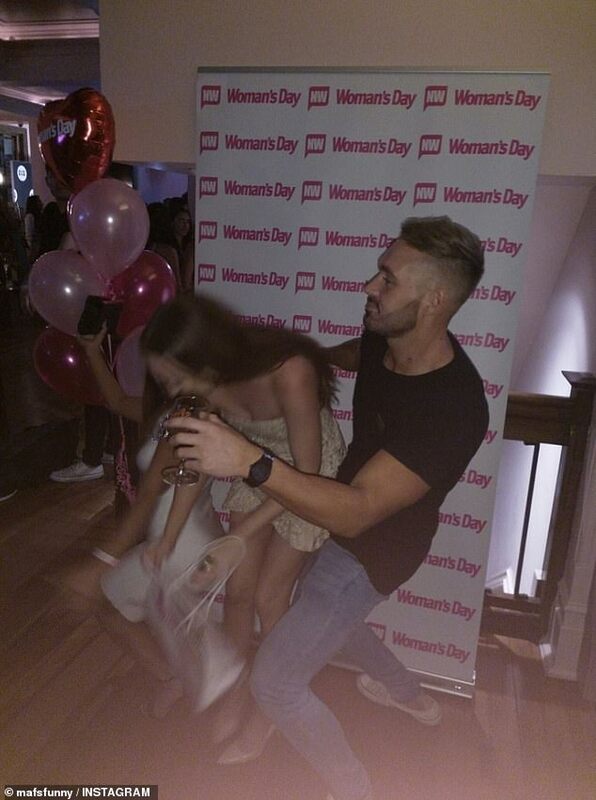 The current cast members partied alongside last year’s participants, as well as Bachelor In Paradise and Love Island stars, at NW and Woman’s Day’s MAFS Live event. 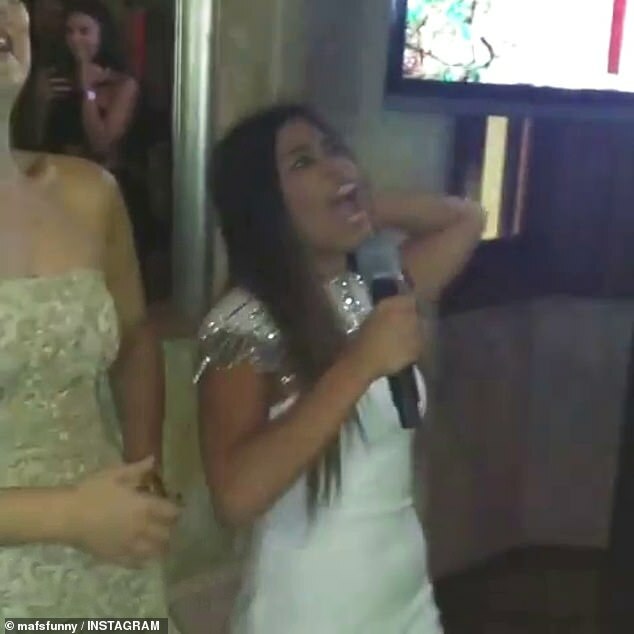 Taking over the microphone after the episode finishing airing at Hyde Park House, Cyrell slammed co-star Jessika Power while screaming in excitement. ‘Jess copped it,’ shouted Cyrell, as the sold out venue cheered along with her. The fiery bride then gave a shout out to ‘any woman speaking their truth’, before screaming her catchphrase ‘King Ding-a-ling’ and gyrating with Melissa Lucarelli. In a video, posted by MAFSFunny, Jules could be seen jokingly hiding her face in embarrassment, as Cameron reveled in the atmosphere. 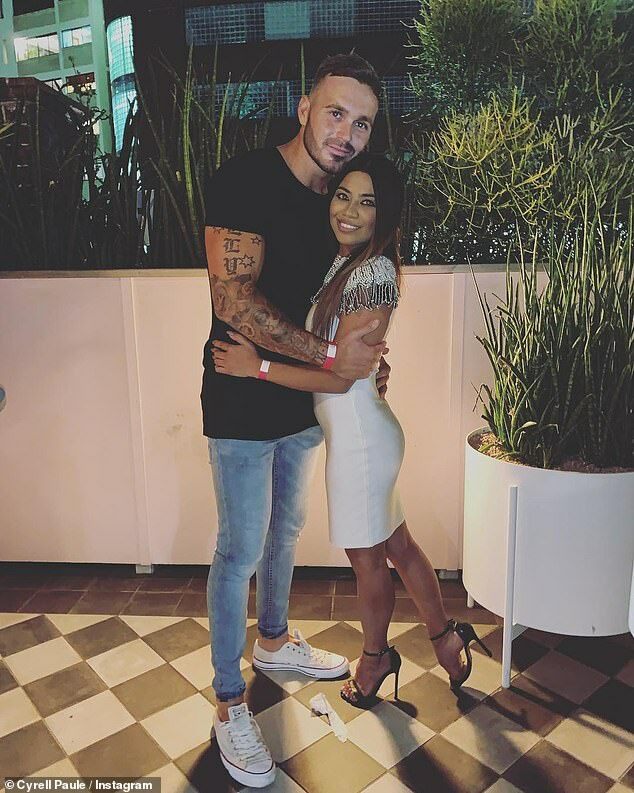 Cyrell arrived at the venue with new beau and Love Island Australia star, Eden Dally. Despite the current cast being the biggest draw to the sold out event, series six star Dean Wells arrived with last year’s cast in a lavish limousine. 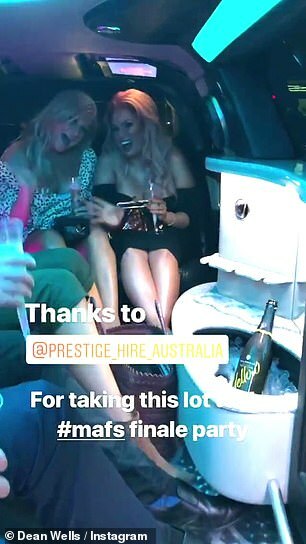 Sarah Roza, Gabrielle Bartlett and Tracey Jewel could be seen clutching champagne flutes in the back of the luxury transportation. Alongside them was Blair Rachael, John Robertson, Troy Delmege, Sean Donnelly, with Alycia Galbraith, Matthew Lockett and Ashley Irvin later joining the gang. 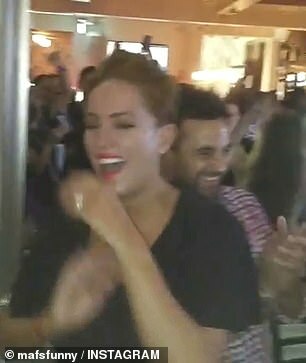 Inside the party, the Married At First Sight stars enjoyed a bar stocked with unlimited free drinks and canapés. 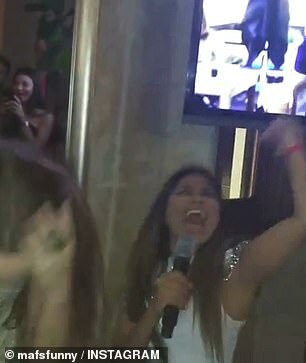 It appeared that the excitement proved a little too much for Bachelor In Paradise star Megan Marx, who was photographed slumped alone in the VIP area. 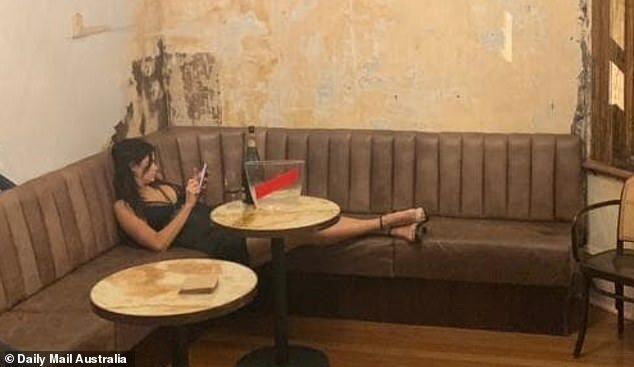 As all other attendees congregated around the large televisions to watch the final episode, Megan remained alone while fixated on her mobile phone. Another attendee who may partied too hard was Melissa Lucarelli, who accidentally confused a random car outside the venue for her Uber. Melissa couldn’t contain her laughter after then stumbling out the vehicle and up the street in search of her taxi driver. 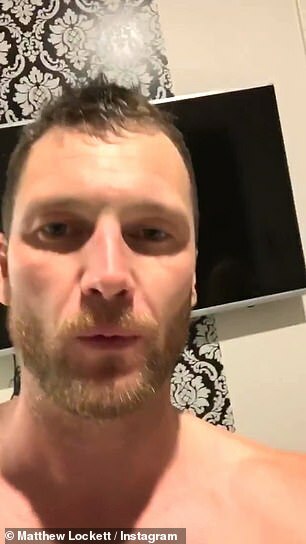 The party continued into the early hours, with Cyrell sharing candid footage from a hotel room bed with Bachelor babes Megan and Elora Murger. Wearing a silky night gown, Cyrell inhaled helium from a balloon, much to the amusement of the girls. Eden also shared footage from the late-night hotel party with his 180,000 Instagram followers. 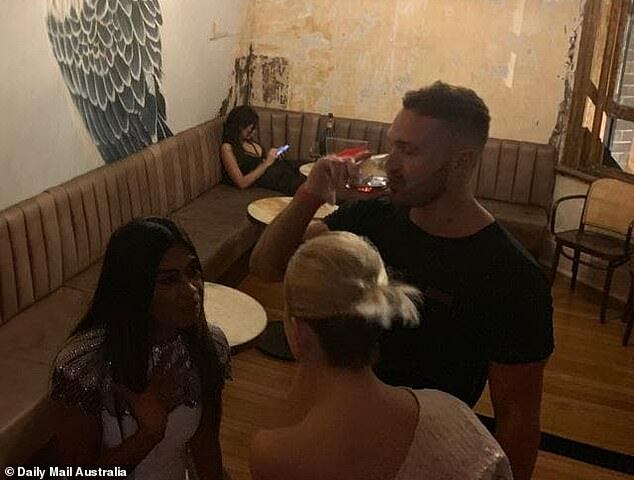 Likewise, last year’s Married At First Sight stars Matty Lockett and Ashley Irvin continued the party in a hotel room of their own. A shirtless Matty shared several late-night clips giggling alongside Ashley, who had changed in to her pajamas.